Oliver Tallowin is a PhD student in the Department of Zoology at Tel Aviv University, working under the supervision of Prof Shai Meiri and Dr Allen Allison. Oliver has a broad interest in the biogeographical patterns of biological diversity and the ecological and evolutionary processes that underlie them. He is also interested in elucidating the trends leading to increased extinction risk in vertebrates. Currently, his research is focused on the broad-scale spatial overlap and environmental correlates of Papua New Guinea (PNG) terrestrial vertebrate species richness. He is also working on a project to identify whether a trend exists between recently extinct (Quaternary) reptiles and body-size. 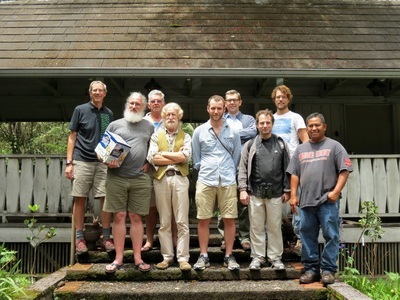 Since completing his MRes in Ecology, Evolution and Conservation at Imperial College London in 2009, Oliver has been working closely with Dr Allen Allison from the Bishop Museum in Hawaii. 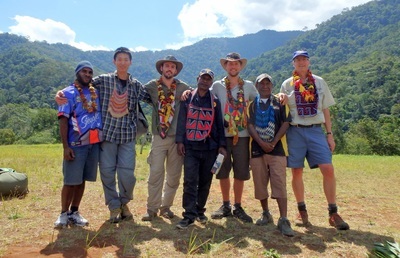 He has carried out five expeditions to PNG primarily collecting reptiles and amphibians for systematic and phylogenetic research. 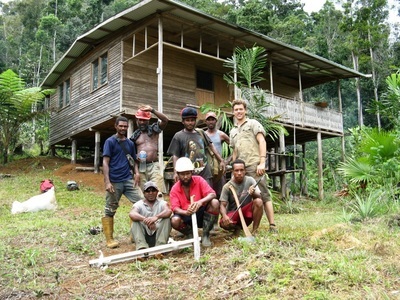 During his time in PNG he also project managed the construction of a field research station and foundations for two weather station towers in the Kamiali Wildlife Management Area. During 2011-2013 Oliver was commissioned by the International Union for the Conservation of Nature (IUCN) as a Redlist assessor for Pacific and Melanesian reptile species. In collaboration with Dr Allison, Oliver has co-authored two reports on the Distribution, Diversity and Conservation Status of the biota of New Britain; and along the Kokoda Track. Oliver can also be found on ﻿Facebook﻿ and ResearchGate.